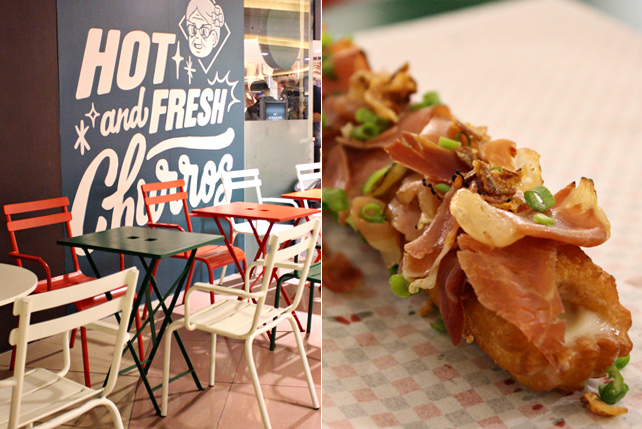 Ham is the best thing that happened to churros. (SPOT.ph) It’s interesting to realize that Churreria La Lola is barely a year old. Somehow, it feels like the image of people—children and adults alike—strolling in the mall while carrying their trademark triangular cartons has become convention. This happy picture is even more common now that there are five branches scattered in Metro Manila, with two more to open before 2015 ends. 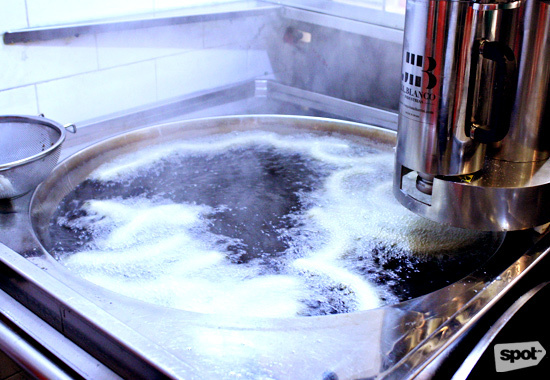 The reasons to love Churreria La Lola are as many as the variants they've created with their main product, the churro. 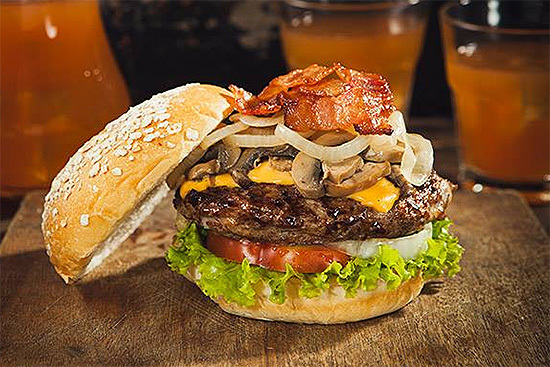 From the simple satisfaction of their Clasicos (P110/six, P195/12 pieces, P275/18 pieces), crisp logs flattered best with a shot of chocolate (P60/small, P100/large, P130/extra large), to the decadent dessert confections augmented with ice cream. 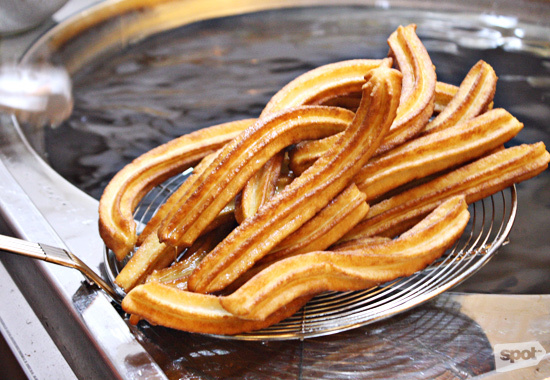 Churros have their own cottage culture in Spain, with regional stylings as well as high- and low-end variations. In the Philippines, it’s a typically sweet affair, served with chocolate, sugar, cinnamon, or a combination of those three. You get the same level of enjoyment at La Lola. And maybe a bit more. La Lola, helmed by Barcelonians—and experienced restaurateurs—Sergi Rostoll, Dani Aliaga, and Uri Singla, finds the middle ground between casual and haute, proving that fine-dining philosophies, like using only premium olive oil and artisan techniques, can work on a grab-and-go scale. 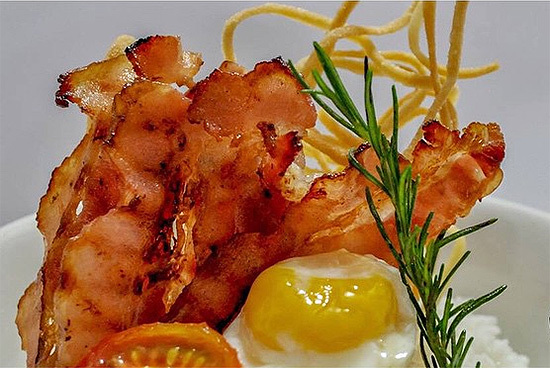 Since it opened in December 2014, the trio and Chef Pepe Lopez have only refined their craft. Their churros now have never been better. There’s bliss in dipping fried choux pastry in dark chocolate, but there is also a lot of dripping. 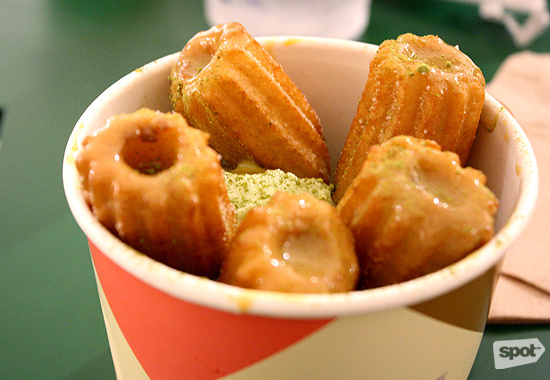 Incredibly impressive are the churros that come built-in. You’ll be more amazed at how quickly the Xuxos (P120), pronounced "chu-chos," a single tube filled a la éclair with your choice of Nutella, peanut butter, dulce de leche, or strawberry jam, can disappear from its special box. On a side note, the Mini Xuxos (P275), featuring nuggets of the dulce de leche and served with matcha ice cream is a sweet-on-sweet adventure that blazes through just right. The Chocochurros (P195/six, P345/12 pieces, P495/18 pieces) offers just the same ease, but in reverse. 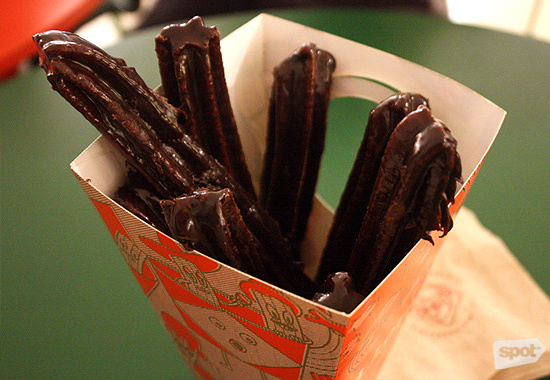 Coming in the same pyramidal cases as the Clasicos, here, the churros are completely coated in the bittersweet chocolate dip and served chilled. Finally, you can stop arguing with your friend over who hogged most of the chocolate. 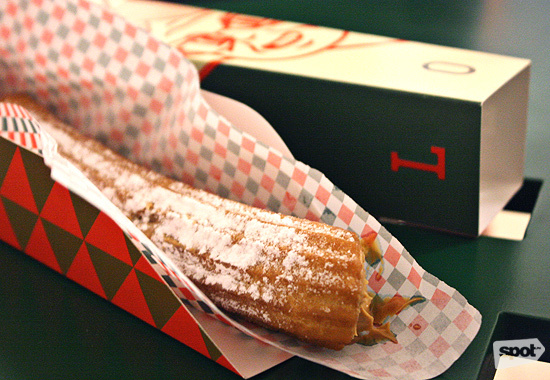 If there are churros that promote fairness, this is it. 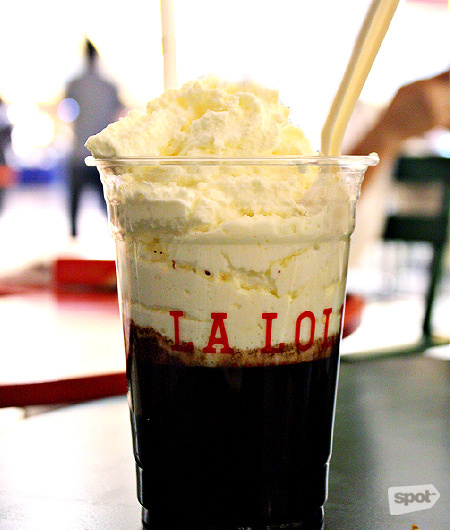 La Lola's Chocolate Suizo is ranked No. 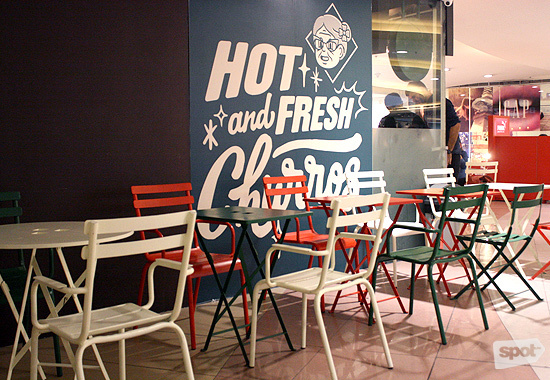 3 on SPOT.ph's Top 10 Hot Chocolate list. 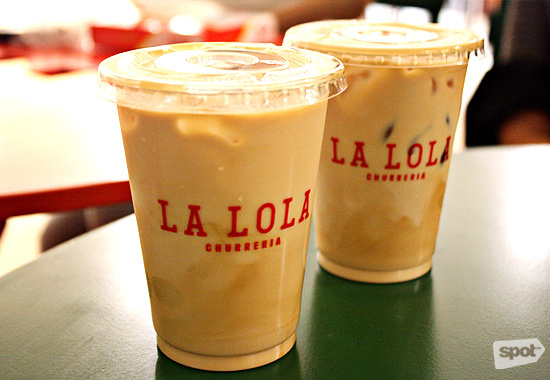 It is their latest creation, however, that tips the scale, making La Lola not just a place for snacking or a sweet finish, but something more substantial. 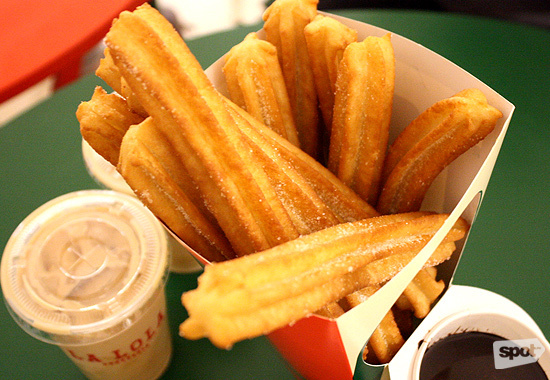 There is, of course, the savory Churros Bravos (P195), which is the churros equivalent of the popular potato dish. Chef Pepe came up with the Jamon Y Queso Xuxo (P345) during last April’s Madrid Fusion Manila. 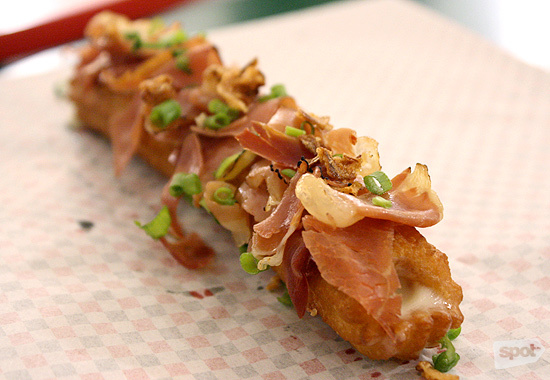 The churro is stuffed with Manchego cheese sauce and topped with salty jamon Serrano, crispy onions, and chives. The ham is torched before serving to develop the flavor further. Dani and Sergi tell us that churros can be enjoyed by anyone at any age, but this rather sophisticated adaptation is grown-up churros if there ever was one. 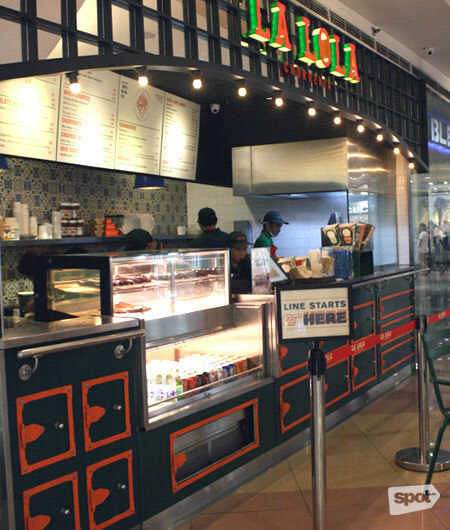 Churreria La Lola has branches at Power Plant Mall, Makati City; Serendra, Bonifacio Global City; SM Mega Atrium, Mandaluyong City; UP Town Center, Quezon City; and SM Aura, Bonifacio Global City. 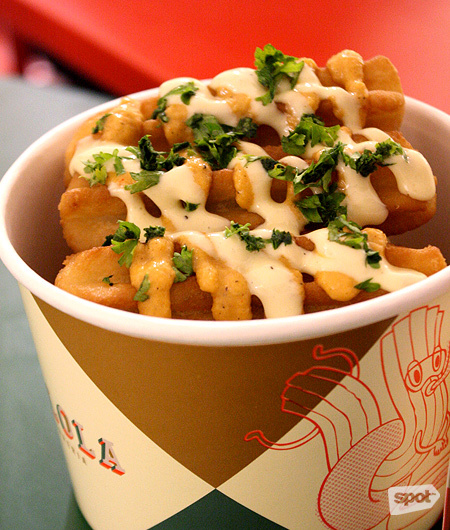 Read more about Churreria La Lola.